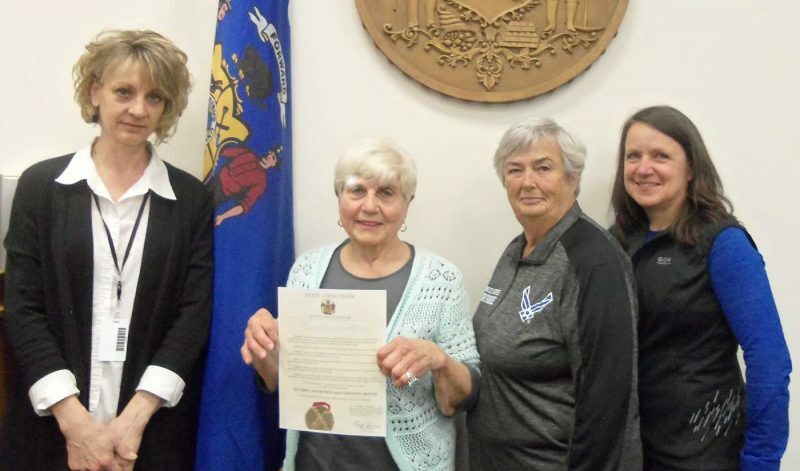 NIAGARA, Wis. — Debbie Kallenbach of Niagara has always had a passion for baking. Kallenbach, who previously worked at Bellin Health in Iron Mountain, was looking to switch things up last year when she decided to start her own business. 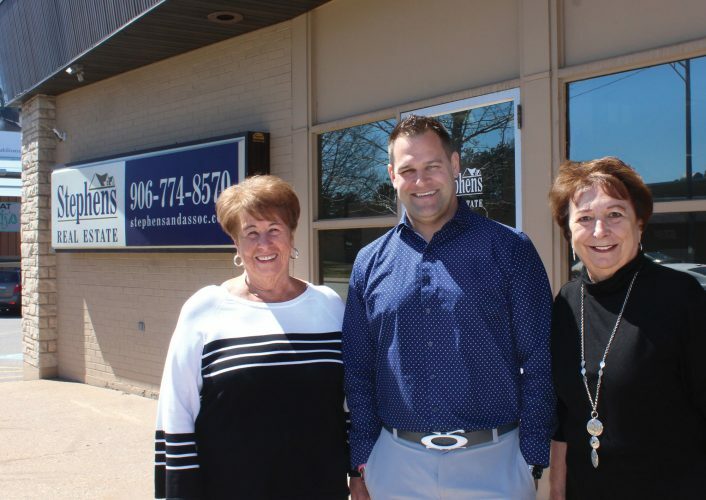 “It was time for a change, and it was do it now or don’t do it ever, because I’m not getting any younger,” Kallenbach said. So she took early retirement and opened Up Nort’ Sweet ‘n’ Savory on July 27. The shop primarily is run by Kallenbach, with a little help from friends and family. On the sweet side, Kallenbach regularly bakes cookies, cakes, cupcakes, donuts, cinnamon rolls, turnovers, bars, caramel corn and a different muffin every day. For those partial to savory, look for the porketta, barbecue pulled pork, pizza, ravioli, soups and pasties. Kallenbach carries the traditional and rutabaga pasties, as well as a breakfast pastie containing ham, breakfast sausage, onion, multi-colored sweet peppers, hash brown, egg and cheese. “The breakfast pasties are big seller most days,” she said. She sells Jo Ti Grandma’s Old Fashion Ravioli, made by her sister Tina Williams of Aurora, Wis., and makes cauliflower crust pizzas available frozen for carryout. “I just started doing the cauliflower crust pizzas for a healthier option,” Kallenbach said. Birthday cake and pie orders keep Kallenbach busy, as do the 16-inch chocolate chip cookie cakes decorated for birthdays and holidays. Racks inside the shop hold whatever she feels like making that day. “I usually have chocolate chip cookies. The banana bread is a big hit. Yesterday, someone ordered a pie, so I made an extra,” Kallenbach said. Although the business works mostly with to-go orders, she does have a few tables for patrons to sit and eat inside. “I have a group of guys who come in every morning for coffee,” she said. The building at 1111 Roosevelt Road in Niagara previously housed Karen’s Photography, BikeWorks of Niagara, and most recently Pamper Me & More nail salon. Kallenbach is renting the property with the option to buy. “Eventually, if everything goes well, we would like to put in a drive-through coffee window,” Kallenbach said. 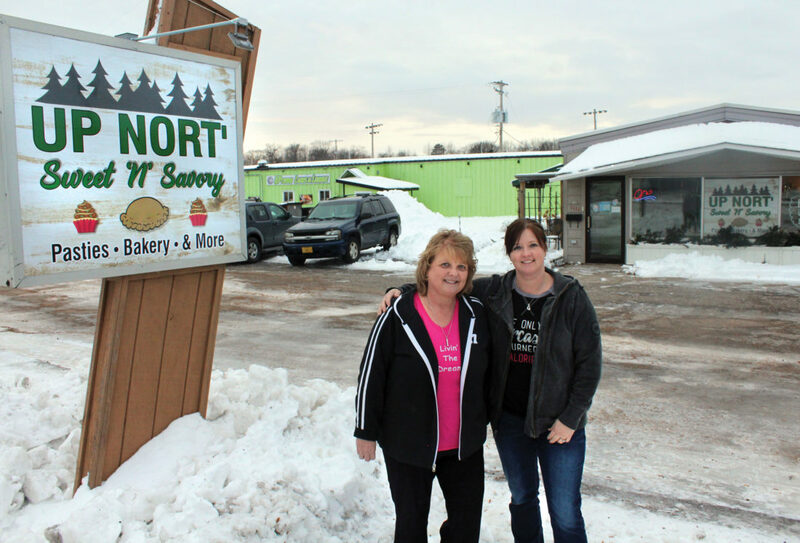 Up Nort’ Sweet ‘n’ Savory is open 6 a.m. to 4:30 p.m. Tuesday through Friday and 7 a.m. to noon Saturday. The business is closed on Sunday and Monday. For more information, call 715-251-2297.